From the 15/08/16 – 16/09/16 we are offering all customers who bring in their computer for a System Reset & Restore a FREE copy of BullGuard Internet Security (Normally £49.95!). What is a System Reset & Restore? System Reset & Restore is a service we provide for computer repairs Southampton that will reinstall a fresh operating system that came with your computer and reset it to the factory settings, it also includes the creation of user accounts and installation of programs and drivers so your computer works correctly and smoothly. The benefits of doing this are your computer will work as it did when you first bought it from the shop and any junk slowing the computer down would have been removed. The service costs £49 and if do this before the 16/09/16 we will include a free copy of BullGuard Internet Security. 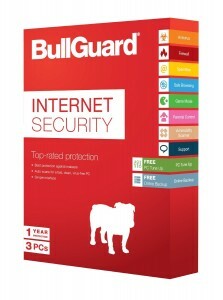 Bullguard is antivirus software that was voted best buy by Which? for antivirus software in January 2016 and is commonly ranked among the top 10 of antivirus software. It will keep you protected from viruses and other pieces of malware. It also allows you to see which websites are safe to visit. If the website is safe then it will have a green tick next to it, if it is unsafe then it will have a red cross next to it, meaning you should avoid this website. Your software will keep your protected for 1 year and can be used on 3 different PCs.